I don’t usually crave salad, but when my cousin Lucille posted her strawberry salad on facebook, I couldn’t resist recreating her refreshing and summery lunch. I tweaked her original recipe based on what I had in my pantry, and experimented with making my own vinaigrette. 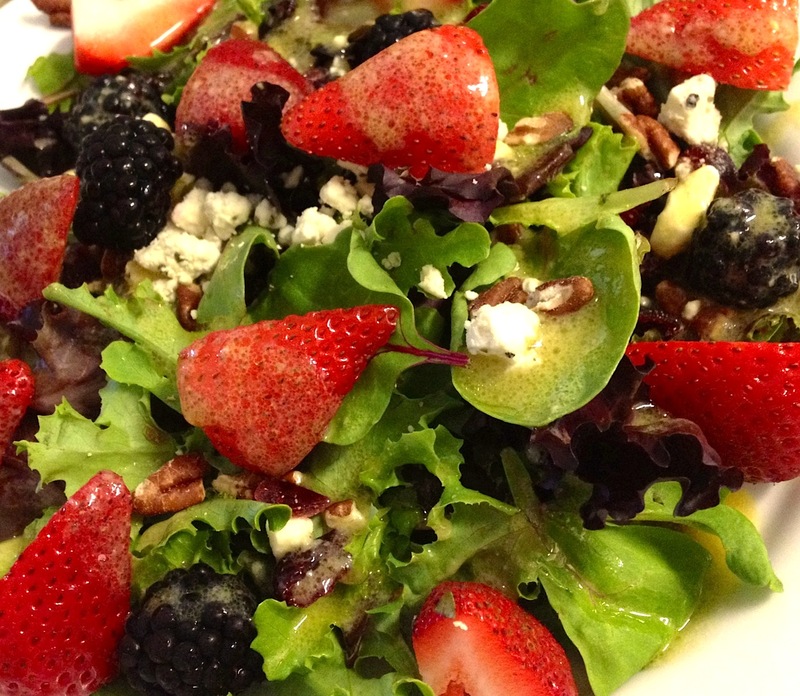 This Berry Salad with Champagne Vinaigrette was perfect to enjoy while watching Wimbledon. Wimbledon and strawberries. They go hand-in-hand. Thanks Lucille for inspiring this post! I really hope you don’t need directions. Start with the mixed greens, and sprinkle everything on top. Drizzle with vinaigrette. Whisk together the garlic, mustard, vinegar, lemon juice, honey, salt, and pepper in a bowl. Slowly whisk in the olive oil. This salad is to die for!